No Poo Shampoo / Sulfate Free? What are sulfates and are they really harmful to the health of your hair? Almost every shampo­o you find in drug stores or beauty salons has some form of surfactant in its formula. The most common type is “sodium lauryl sulfate” which has gained a bad reputation in the beauty world in resent years and the number of new shampoos claiming to be sulfate-free is slowly increasing. There are the "no-poo" sulfate-free shampoo advocates claiming sulfates strip the hair of color and natural oils far too much; on the other side there are those who maintain that “sulfate-free” shampoos do a poor job of cleansing the hair because they don't foam up much or rinse out of the hair well enough, especially in hard water. Sulfonated Shampoos have been use for decades because they work really well in hard water and are extremely effective at generating a lot of foamy bubbles which help disperse the cleanser evenly through the hair too dissolve and rinse away dirt, wax, oil, and styling aids especially the kind found on your hair. Sulfates and there are many types are cleansing ingredients called surfactants derived from coconut oil, palm kernel oil, soy bean oil and petrochemicals. In fact, there are many ingredients used for multiple purposes in a shampoo formula; water, surfactants, foam boosters, thickeners, conditioning agents, preservatives, modifiers and special additives to give the shampoo its color and odor…. all added at different strengths and levels to balance mildness and conditioning with effective cleaning performance. To offset the harsh effect of some surfactants often some type of conditioning ingredients is also added. Typical conditioning agents include proteins, polymers, silicones, and quaternary agents. Each of these compounds with the help of a surfactant improves the feel and softness, while reducing static charge. Shampoos that feature conditioning as a benefit are called 2-in-1 shampoos because they clean and condition hair in the same step. Clarifying and purifying shampoos for example use a stronger type of “surface active sulfate” to dissolve and remove styling aid build up but are to strong for daily use. Finally you can use topical dermatological hair and body cleansers or baby shampoo which contains milder Amphoteric surfactants like TEA Lauryl Sulfate, Cocamidopropyl Betaine, Sodium Trideceth Sulfate or Lauroamphoglycinate. Those provide safe mild cleansing and conditioning benefits for sensitive skin, body cleansers, color treated hair or daily use. If sulfate shampoos just aren’t your cup of tea, there are plenty of other types of surfactants used in so called (Sulfate-Free) shampoos. Non-sulfate anionic cleansers include Sodium Lauryl Sulfoacetate, Disodium Laureth Sulfosuccinate, Sodium Cocoyl Isethionate, Sodium Lauryl. These tend to be less stripping so you may find they don’t bubble up as much, rinse out and clean as well. A lot of people won’t want to hear this, but surfactants especially the milder Amphoterics are among the safest cleansers you can buy although some people with sensitive skin do complain of dry itchy scalp after using sulfate shampoos especially in dry climates. But most people have no problem, especially if they are followed by a hair conditioner and used infrequently. 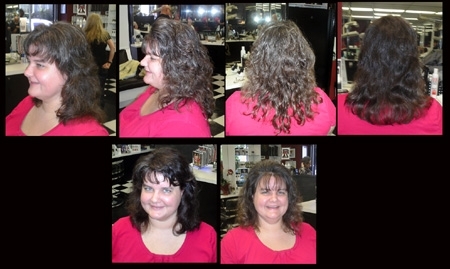 As a hair stylist you know a hair styling can be transforming and magical. The right hair style can make a large nose look smaller and a round face appear slimmer. And like magic make some people look older or even years younger and pounds slimmer. Often all it takes is few "quick snips and some styling tricks" to unlock its style potential and natural beauty. Everyone is unique and so is their hair. And everyone can wear their hair long, mid length or short, full or close and one of those lengths and shapes will suit them best. I first look for what makes each "person and their hair unique" and design a style to enhance its natural beauty. Because hair grows quickly and has a life-like quality I've found it takes me "three visits in a row" (for adjustments) to fully develop a style. One that holds its shape as it grows, is balanced from all points of view and for the most part...styles itself. Because a new hair style or hair color happens quickly (snip, snip, snip), for most people (including me) it’s hard to remember what their hair looked like just minutes ago. To truly appreciate the improvements a new color or style has made in their over all appearance, I take before and after snap shots from all points of view (front, profile and back) with the new Polaroid Digital Camera. It prints out wallet size pictures on the spot and you select only the pictures you want to print. To capture the best examples, I take lots of pictures before, during and after and print the best before and after pictures. 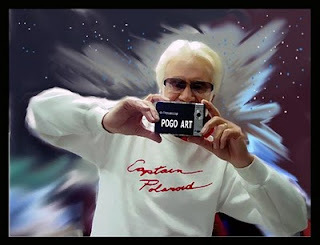 If a picture is a thousand words than a Polaroid snap shot speaks volumes and the pictures are theirs to keep. This extra step has helped me show people the improvements a style or color has made and makes their visit a fun and memorable hair styling experience. And because the Polaroid is also a digital camera you can take as many snap shots as you like (print the best) and store the images on our salon computer for future references. You can also use the digital camera on your phone and flip through the picture when you finished. 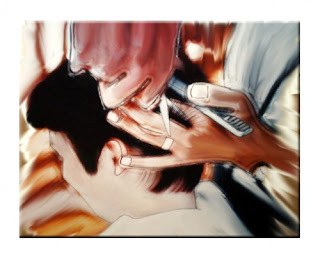 After you can send the pictures via email and make every new clients salon visits a memorable….. Hair Styling Experience! 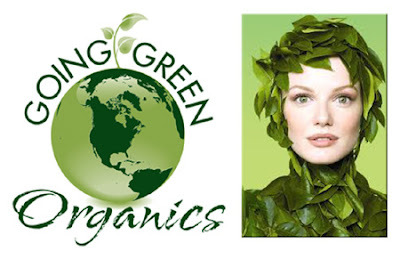 Little has affected cosmetic formulation in the last decade than the Green Movement. Proponents of this philosophy have prompted personal care manufacturers to completely reformulate many products to remove animal derived ingredients, add organic extracts and expunge formulas of any chemical that might sound controversial. Formulas also have to be sustainable and come from fair trade sources. The Sustainable Cosmetics Summit goes through all the things a cosmetic chemist will need to know to formulate “green” in the future. Bio-degradability is an area of preservation where sustainable may be a better alternative than “natural.” Synthetic preservatives that are safe, effective and bio-degradable are usually easier to use in a wide variety of formulations than are their more natural counterparts. Au-natural "green" ingredients have a short shelf life and need a stable preservative system. “It’s great to have exotic au-natural green ingredients, but not if they are simply used as a "special promotional additive" with little or no improvement and destroying rain forests in the process." 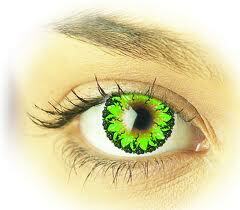 Are you going green...it may be something to consider the next time you reach for something green.